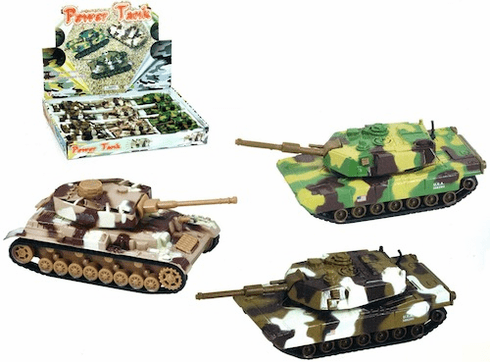 These pullback tanks have diecast metal bodies and come in a variety of authentic styles and colors. Turrets move from side to side as the tanks zoom along! Price per tank.